Learning and Sharing with Ms. Lirenman: A Positive Use of Social Media Strikes Again! Over the past couple of weeks I have shared two of Elise Gravel's wonderful non fiction children's books on disgusting critters. We have read The Slug and The Rat. 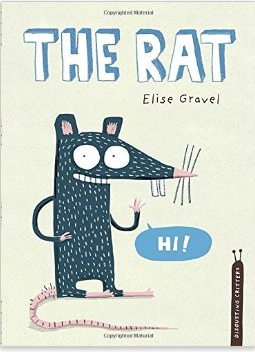 After reading The Rat, and knowing that Elise is on twitter I asked my students if they wanted to tweet her and tell her what they thought about her book. To no surprise the answer was YES! Since I teach a combined grade one and two class I started by modelling how to tweet with the entire class. I ask my grade one students what they wanted to say to her and I typed their tweets as they spoke them. In the process I modelled how a tweet is written and what we needed to include in a tweet. With a few tweets sent, my grade two students were encouraged to tweet to her too while I worked with some of my grade one students. Of course, the rules never change, and I saw each tweet before it went live. Actually one tweet did sneak out without my eyes but it was quickly brought to my attention. This tweeting provided my students an authentic opportunity for writing. As soon as I got a chance to look back at our class "notifications" on twitter I noticed that she was already tweeting us back. How exciting was that! Here an author/illustrator of books we really enjoyed was reading and responding to our tweets. A bit of frenzy occurred in my room as we read the various responses to each of my students tweets. A couple of students continued their conversations with her. The rest of us moved on with our morning. What we missed in the process was that a few tweets later Elise Gravel was curious as to what my class was called since our class twitter handle is @MsLsClass. Thankfully she figured it out because what she had in store for us next was something we would have never have expected to happen. Can you imagine how powerful that one image was for my students? 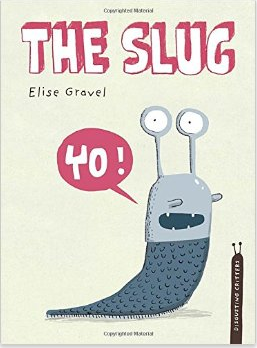 Needless to say we have a lot more Elise Gravel books to enjoy over the next few weeks and are looking forward to her new books too. Also, in case you have forgotten Elise is not the only author that has interacted to this magnitude with my students. Ame Dyckman is another incredible author too. Here's a blog post about our initial encounter with Ame, and how our relationship with her continued. Elizabeth Schoonmaker has also worked with my students. We've also had author's like Todd Parr and Peter Reynolds interact with us a bit too. I am certain there are MANY others who would interact with their readers through social media. These are just a few examples of how using social media can bring real learning into your classroom. It makes me question why there are so many districts that are still banning it. I can't imagine not giving my students this opportunity. If you're looking for other blog posts I've written on using social media in an elementary classroom check out "Social Media in Grade One? You Betcha!" and "Using Twitter in a Primary Classroom". If you're curious to see our twitter interaction I have made a storify with the tweets which you can find below. Please read all the tweets to see how awesome she was with my students. Thanks Yvonne and I'm so glad to hear that others are using social media in their classrooms as well. The Global Read Aloud is such a great way to connect with others around the world. Hi Karen! I'm another Surrey, BC Teacher (TTOC) and I'm cross-posting your blog on using social media in the primary classroom to my own Teaching page, as I facilitate BCTF teacher workshops on social media. I often don't have time to answer everyone's questions during the workshops, so my website is a place I can refer them to for further exploration. I'm going to reach out to you to see if you could present a workshop at an upcoming conference. Fingers crossed that we can get you for PSA day in an upcoming year for the BCATML Fall conference. I'm truly inspired by your dedication to education.